Check Out Thrive Magazine's Article About Our Family, Our Story, And Why Your Story Matters! You are here: Home / Family / Check Out Thrive Magazine's Article About Our Family, Our Story, And Why Your Story Matters! Thrive magazine contacted my wife a few months ago asking if we would be interested in doing an interview with them for their “Mom Next Door” series. I had actually just saw an article they had recently published about Matt Chandler and his family, and I liked what I read on their website about the purpose behind their publications so we agreed to do the article. Big thanks to Thrive Magazine! We were very happy with the article and think Nicole did a great job telling our story and about our passion to help the world see that people born with Down syndrome are worthy of life. 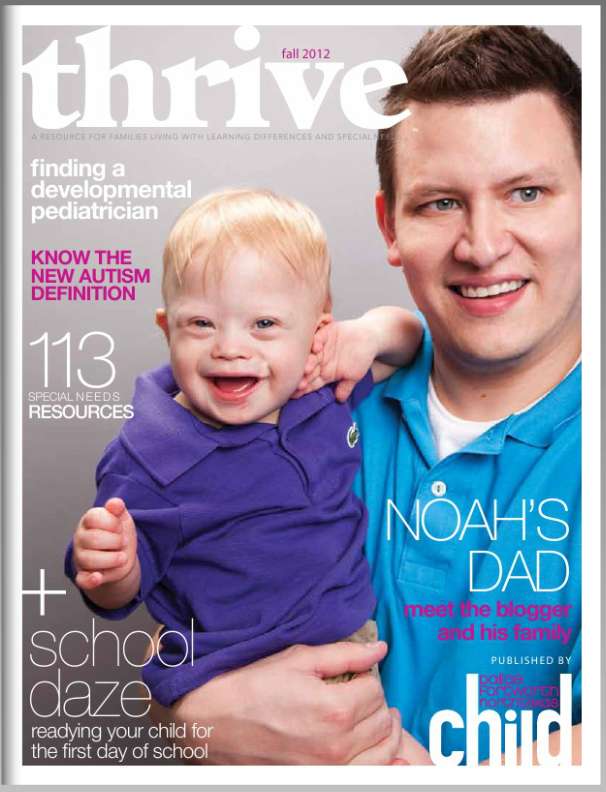 Thank you Nicole and the entire the staff at Thrive Magazine for all that you do to help show the world that children like Noah are so worth it! 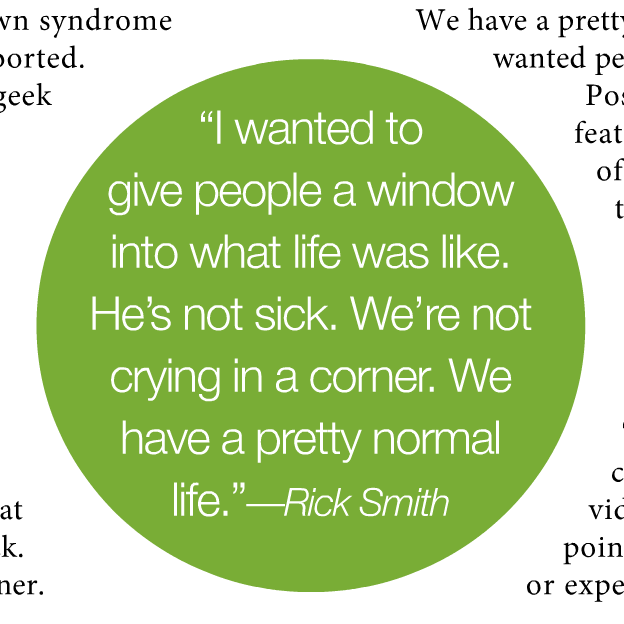 It’s so important for the media to keep publishing stories about people with special needs, and helping the culture to exchange inaccurate and outdated stereotypes with true and accurate ones. I want to thank all of the news organizations that have leveraged their influence to do just that. From a father raising a little boy born with Down syndrome, thank you. Every positive article you write helps the world understand, and understanding goes a long way. Please continue to help us tell these stories. Each of you have a story to tell! By the way, I wish articles and stories could be written about so many of you; the thousands of incredible families raising children with Down syndrome that we get to meet every day through this blog, Noah’s Dad’s Facebook page, Noahs Dad’s Twitter stream, Noah’s Dad’s Youtube channel, and all of the other places we get the opportunity to connect with you online. Each you of you encourage us more than you’ll ever know. As I say often, there’s power in your story. And also never stop forgetting that God is telling a powerful story through your family and even though it may feel at times your story has no impact, it does! The world is watching, and each of you are the biggest and best advocate in the world for your family! So keep blogging. Keep facebooking, tweeting, instagram’ing , Youtube’ing, hanging out with your neighbors, going on play dates, or whatever it is you do. Keep telling your story. You are making an impact rather you see it or not. You are. No family is perfect, but every family has a story to tell. Keep telling (and sharing) yours! Thanks for sharing your family and your story with us. We truly consider it an honor, and greatly enjoy getting to know (seriously, know!) so many of your stories. And know this; we consider you much more than just “internet friends,” even though we’ve gotten to know so many of you online (and many others off-line) we very much consider you real-life-friends. Thanks for your friends, support, and encouragement. Together we are sending a message to the world. Collectively we are helping the world see that Down syndrome is ok! Awesome to see the article. I must admit I’m rather amazed at the amount of work you guys put into this, between posting and replying to comments, it must be so much time! Thank you, thank you thank you. It was on one of my late night feedings that I found this site and Elias was only a few weeks old. It helped to put my mind at ease and lighten what felt like a burden at that time. May you be blessed for all your efforts! Glad to have you on this journey with us. I think that it is great that you have given us the link to the Article as I would never have seen in otherwise living in the UK. I have told the people who run the Friday Class for disabled children most of whom have Down’s Syndrome about your page so I expect they will look in on you. Ryan will not be able to go to class when it starts again in September as he starts school full time being 4 now. We do have pages in the UK about Down’s Syndrome and it is not like it was in the “Dark Ages” when there was a “Stigma” to any family who had a Down’s Syndrome Child.Having almost reached my three score years and ten I have seen these changes happening. The difference I see between People with Down’s Syndrome in America and the UK is that they do not seem to be comfortable about talking about God’s hand in everything which having been brought up in a Christian family who do talk about their Faith I find disappointing as I feel that if they did they would fins life fetching up a Down’s Syndrome Child much easier. 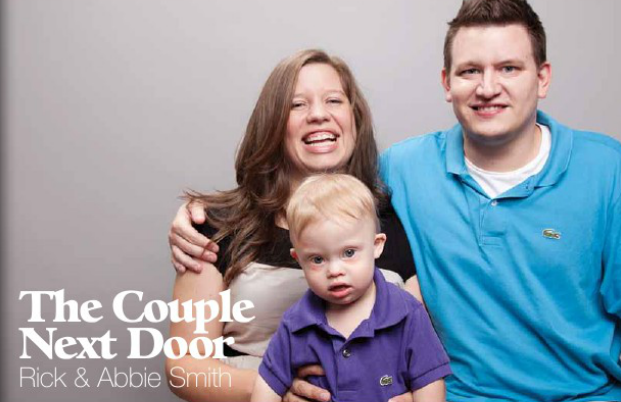 So glad Thrive featured such a cool family in their magazine! Great exposure again for telling the world that our kids are totally ok! I love it! My boy Eli is 4 years old…just learning to jump. His effort amazes me every day. I’ve been reading your blog since the Target ad. Thanks for being a positive voice for DS and your boy is way too cute. May God continue to bless you and your family. Hi, thanks for the kind words. And how cool that Eli is starting to jump! Do you guys have any other children? Hi! Elijah is our one and only. The reason I mentioned that he learning to jump now is becasue he couldn’t do it at the beginning of summer due to his low tone. It so cool to watch him make such progress. I remember the days when I had to prop him up to sit. Now Eli still needs help up and down stairs…he didn’t walk until May of 2011 at 3 yrs old. Now he can’t stop running!! I love to see the progression with Noah and everything you guys do for him. He will never doubt how much his parents love him for sure. Have a great day. I always look forward to your posts. I can’t believe that Noah didn’t light up with a smile in at least one of the shots they took, so they could have p-shopped it in! They did a great job on the article, but that would be my one complaint. Then again, it does seem to never fail that my smiling kids go zombie when a camera shows up. You really just never know from day to day how they’ll react, and you gotta take what you can get, I guess! Like I said on fb, great article, and thanks for all you guys do. I can’t imagine the hours that go into it. Someday you’ll have to work out a “guest blogger” rotation schedule to give you guys a bit of a break. Therapists, parents of older kids, caseworkers, lots of possibilities of people who might could take the load off. Well, never ask ME for ideas, or I’ll give them! I’ve inboxed you to your Rick Smith facebook page. 🙂 Of course, you’ve thought it all out way more than I have, so I might not be any help. My husband is the administrator in the family, and I’m the ideas person, and we’d be happy to be a sounding board for y’all if you ever need it! Did you see the cover shot? Noah is smiling in that one but I agree they could have done a little entertaining behind the camera to get him to smile when we weren’t able to do that.